4 Bedroom Detached House For Sale in Uckfield for Asking Price £595,000. 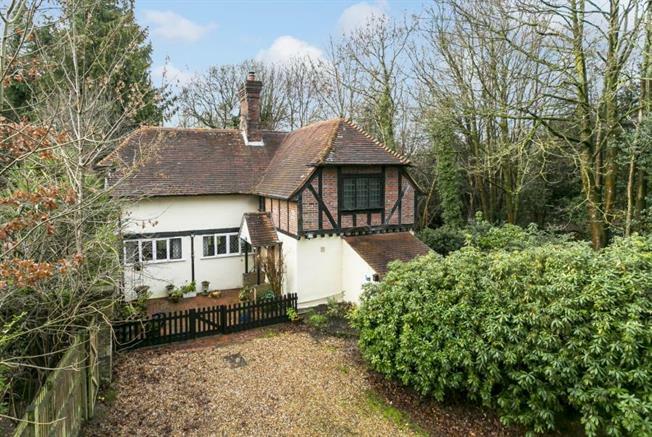 This delightful four bedroom detached character period home is situated on the outskirts of the village of Maresfield. Set in a tucked away location within secluded gardens and grounds with ample parking. The property has many character features including open fireplaces and wooden floors. Approached over a pretty courtyard with covered porch opening to spacious entrance hall with cloakroom, 19 double aspect sitting room with doors opening to the garden and feature open fireplace. Separate dining room over looking the garden, Kitchen/breakfast room with range of fitted cupboards. Four bedrooms with family bathroom on the first floor. To the front of the property there is ample off road parking , the secluded rear garden is surrounding by mature hedging and mainly laid to lawn. On onward chain.